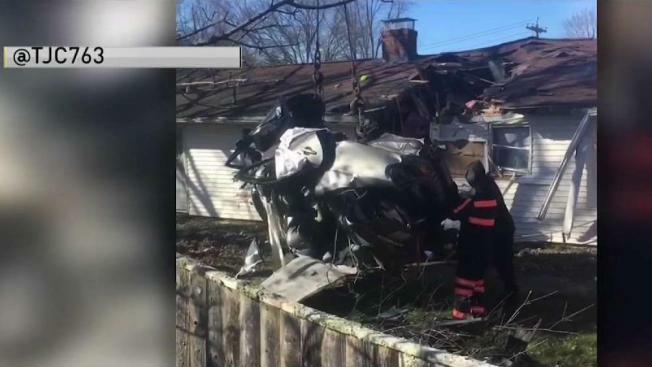 A woman was killed after the car she was riding in crashed into a home in Holbrook, Massachusetts early Sunday morning. "She was that type of person... everybody liked her. There's no hatred towards her," said someone who knew the victim. 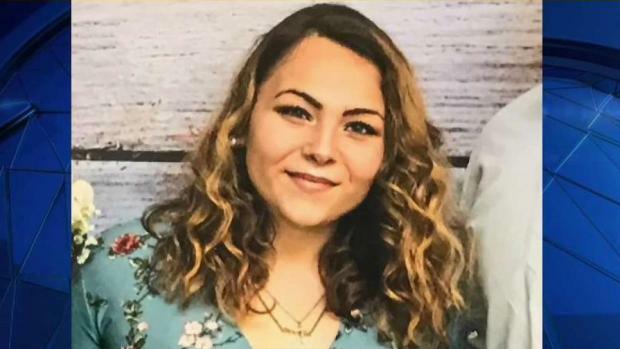 Authorities say 20-year-old Nicole Ricci, of Stoughton, was one of two passengers in the car traveling westbound on Route 139 shortly before 5 a.m. when it crossed over the lane and struck a telephone pole. The car then went airborne and crashed into the roof of a home on Kingsley Street. John Morahan says his friend was in the car. "He's just a down to earth, funny... I mean we played baseball together. He's just a good guy to be around," he said of one of the victims. Ricci's birthday was coming up next month. Instead of celebrating another year, her family will be grieving for the life they lost. "I feel bad for the families. I can't even imagine," said a witness. According to officials, the house sustained serious structural damage but was unoccupied at the time of the crash. The people who live in the home are now looking for another place to stay. "I'm just kind of— I would say maybe still a little bit in shock," Michelle Carter, the homeowner, said. "It looks like a tornado almost like ripped through the house. Just debris everywhere." Her childhood home is torn to pieces, and she is trying to figure out what to do next. Carter says firefighters told her she is unable to stay in the home because of the extensive damage. "It might have to be completely torn down," Carter said. "My entire attic is now in the middle of my dining room. My sliding door and all the walls are crushed in." Investigators say the impact of the crash ripped off at least one tire, yanked off the bumper and even blasted out a window on the other side of the house. "It was just a loud bang," neighbor Kim Lamonda said. She says she ran outside after she heard the crash and started texting Carter. "I'm sending her a picture saying 'I don't know what just happened, but everybody's here, and your window's out.'" Carter, who lives in the home with her sister and daughter, told NBC 10 Boston no one was home at the time of the crash. Carter said she left her home to meet up with friends just before the crash occured. "I really think like my parents, my guardian angels, were looking out for me. They're like, 'Go out. Have a night out,'" Carter said. Carter's dog Molly was in the home but was not injured. Police reportedly had to use the Jaws of Life to extricate Ricci. She was taken to a nearby hospital where she was pronouced dead. The two other occupants of the car, a 19-year-old man from Holbrook and a 21-year-old man from Holbrook, were transported to an area hospital with serious injuries. According to Ricci's uncle, Ricci was in the car with her boyfriend Hector. It's unclear if he was the one driving the car. He also said Ricci was headed home to her father's house in Holbrook when the crash happened. The incident remains under investigation, but police believe speed played a factor.